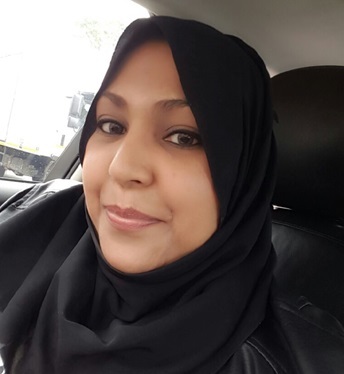 Zuleikha Ahmed holds a D Litt et Phil in Psychology from the University of Johannesburg. She is the Counselling Psychologist at Student Support with a passion for working with and empowering students. Her areas of interest include study skills, time management, stress management, depression, self-esteem development and trauma counselling. She is further interested in the application of alternative therapies in the field of psychology. Ms Mothlamme is the administrative assistant and receptionist at the Hatfield Campus. She is available from 07:30 to 15:30 to answer all queries from students, staff and parents regarding our services. Ms Mothlamme assists in the making of appointments and booking of students on courses and workshops. She is a good source of information and is available to direct students to other service providers on campus, if necessary. 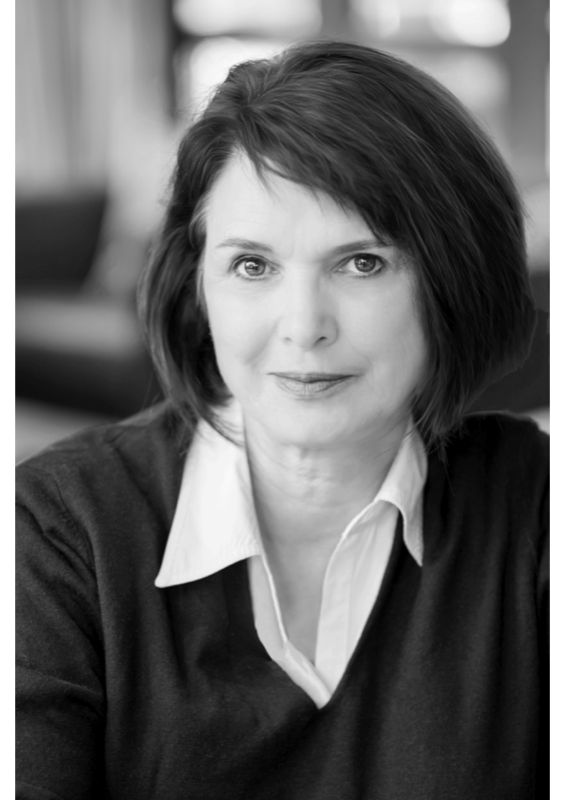 Liana Kruger is an Educational Psychologist with a PhD degree obtained at the University of Pretoria. She has a special interest in career guidance, learning difficulties and LGBTQ Family studies. Dr Kruger has been employed in the division of student support for the past 16 years where she focuses mainly on students’ issues relating to learning and academic development. 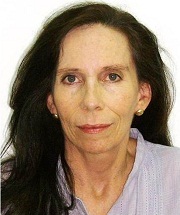 Hanlé Kirkcaldy has been a clinical psychologist since 1991 and has been in the Student Support environment since 2004 – first at Maties and later at TUKS. She holds a MA in Clinical Psychology and an MPhil in Applied Ethics, both from Stellenbosch University. She is currently busy with her PhD from North West University. Her fields of interest include the psychological treatment of mood disorders, anxiety disorders, eating disorders and emotional regulation. She follows and outcomes based apporach in therapy. She is further interested in ethics as it applies to psychology, professional development and mental health and the training of professionals in the mental health sciences. Ruqayya Seedat holds an MA (Counselling Psychology) degree obtained at the University of Pretoria. She is currently completing a Masters in Positive Psychology at the North West University and is registered with the HPCSA as a Counselling Psychologist. Her broad areas of interest are in the field of psychosocial well-being enhancement and optimal functioning development. She is passionate about supporting and empowering students with adjusting well to university as well as with other life changes, stress management, resilience building, career counselling, psychological capital enhancement, counselling regarding depression, anxiety, trauma, bereavement as well as wellness counselling/training. 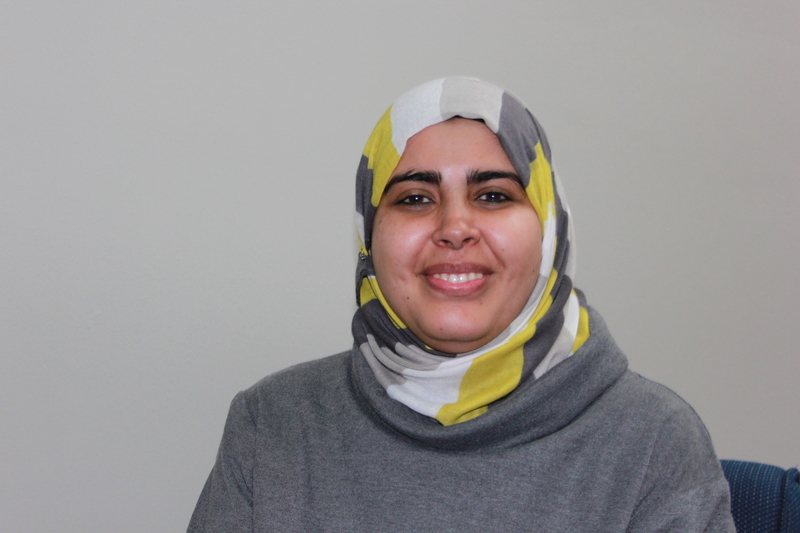 Ms Seedat has been working in the higher education counselling context for the past 9 years. She is trained in Systemic, Narrative, Solution Focussed, Client-Centred, Cognitive Behavioural and Interactional (IPA) Therapeutic Modalities. Quintin Ludick obtained an M.Sc in Clinical Psychology at the North-West University in 2007. He worked in the public health sector from 2009 until moving to the University of Pretoria in December 2018. His fields of interest include the psychotherapeutic treatment of trauma spectrum disorders, mood – and anxiety disorders, and interpersonal problems. He follows a theoretical integrated approach and is a colleague in training at the SHIP® foundation. 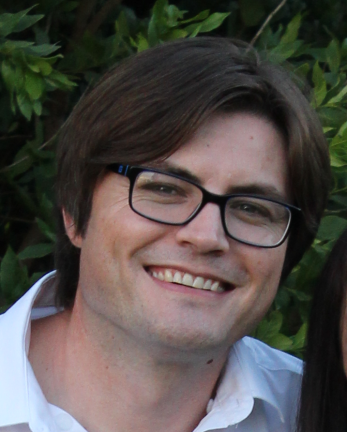 Alex Holt holds an MA (Counselling Psychology) degree obtained at the University of Pretoria. 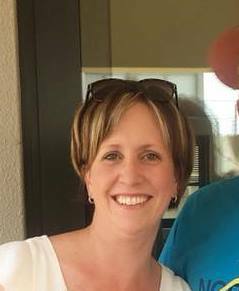 She has been working in the Student Support environment since 2007 and has a passion for assisting students reach their goals and perform to the best of their ability. Ronél du Toit holds a BA in Nursing and MA in Counselling Psychology. Ms du Toit has been working in the higher education counselling context for the past 10 years. She has a special interest in Interpersonal Communication, especially where people become entrapped in destructive interactive patterns of behavior and suffer the psychological consequences of that. Bendoline Holtzhausen holds a MA in Counselling Psychology from the University of Pretoria. She has a passion for working with students who stand at the starting line of their futures. She is particularly interested in relationships, sexual trauma and gender-violence, self-growth, empowerment, trauma counselling, anxiety and helping students to regain an internal locus of control and balanced lifestyle. Nthabiseng Ramothwala holds an MA in Counselling Psychology from the University of Pretoria. Besides working at the Student Counselling Unit, she is in private practice in Pretoria. She is registered with the professional body, Health Professions Council of South Africa (HPCSA). She studied her undergraduate and honours degrees at the University of the Western Cape and Medunsa respectively. She has worked for the past 21 years in administration, planning and implementation of assessments, management of wellness programs, organizational development interventions, team wellness, workshop development and facilitation. She enjoys therapy and counselling work, whether individually or in a group setting, and runs monthly seminars on various psychological topics as well as appearing as a quest on radio and television shows. She enjoys coaching and teaching people better and alternative ways of living their lives in the best way possible. She sees counselling and therapy as a tool to empower people, educate them and help them to be the best versions of themselves while dealing with challenges they face daily. Kesego Duduetsang Mathoothe is a registered Intern Counselling Psychologist who joined the Student Support and Counselling team in June 2018. She is currently completing her MA Counselling Psychology degree with the University of Pretoria. She is interested in psychological assessments and testing, anxiety, bereavement, narrative therapy, and working in communities. Kesego finds fulfillment and enjoyment in making an impact in the lives of individuals. 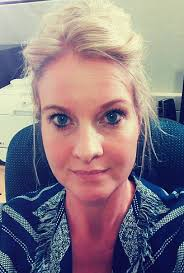 She has been exposed to working with both in- and out patients in a referral hospital, working with university students, working with children and adults as well as working with prisoners. 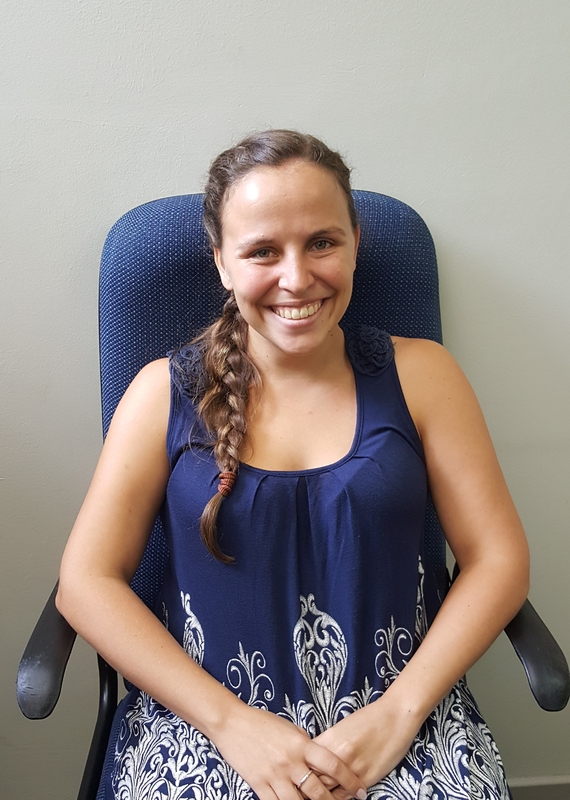 Michelle Nel joined Student Support and Counselling in September 2018 as a registered Intern Counselling Psychologist. She is in the process of completing her MA Counselling Psychology degree, with her dissertation topic being "The experiences of psychological well-being among High School Life Orientation teachers". She received her undergraduate degree in Psychology and English, before going on to complete a Postgraduate Certificate in Education and an Honours in Psychology, completing both with distinction at the University of KwaZulu-Natal. She has a passion for working with University students. Roxanne Zwart is a registered Intern Counselling Psychologist. She is currently completing her master’s degree through the University of Pretoria. Her dissertation topic is "Experiences of depression in Black South African young adult men in the workplace". She completed both her undergraduate and honours degrees part time through UNISA while working and volunteering. She acquired various skills from work and when she volunteered at SADAG, Lifeline, Cresset House and the SAPS victim empowerment unit. She enjoys working with the student population and wants to empower and assist with the various concerns and needs they may have. Miss Lerato Matsunyane is a registered Intern Counselling Psychologist. She obtained both her undergraduate and Honours degrees in Psychology at the University of Pretoria and she is currently completing her MA Counselling Psychology degree. Her dissertation topic is "The Role of Hope in International Students’ Experiences of Well-being: A Phenomenological Inquiry". She is interested in the well-being of students and has a passion for empowering and working with them. Nkululeko Benedict Mhlongo is a registered Intern Counselling Psychologist and holds an undergraduate degree with the University of Johannesburg. He advanced to the University of the Witwatersrand, where completed his BA Honours in Psychology and is currently in the process of submitting his Masters degree in Community-Based Counselling Psychology. Benedict has a keen interest in bereavement, child psychology, family psychology, couples therapy, depression and personality conditions. He strives to be humble and has a zest for life and looks forward in assisting students in reaching their goals. Mahlatse Mokwena is a registered Intern Counselling Psychologist, with an Honours Degree in Psychology from Midrand Graduate Institute and is currently completing Master’s Degree in Counselling Psychology at the University of Pretoria. During her practical training, she had the opportunity to work at Itsoseng clinic (University of Pretoria), Steve Biko Academic Hospital, Stabilis rehabilitation centre, a trauma centre, old age homes, Jacaranda Children’s Home, Pretoria Girls High School and Tshwane University of Technology. She describes herself as an advocate for social justice and wishes to bring about social change through psychology, by integrating the political, economic and social factors that influence the psychological well-being of people. She strives to approach her clients holistically and includes physical, mental and emotional health in her understanding of the individual person.